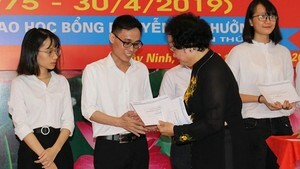 The World Bank has approved a total of US$150 million in two credits to help Vietnam to support and sustain the implementation of the Higher Education Reforms Agenda, and to improve school readiness for 5 year old children. Accordingly, the amount will be used to support the implementation of policies designed to strengthen governance, financing and quality of higher education by improving the responsiveness of higher education and research and increase the quantitative capacity of the system; enhancing fiscal transparency, sustainability and effectiveness of the higher education sector; and improving the quality of Higher Education institutions. This is the third credit in this series of operations. Meanwhile, the Vietnam School Readiness Promotion Project (SRPP) aims to improve school readiness for children entering primary education, in particular for those most vulnerable to not succeeding in a school environment, through supporting selected elements of Vietnam's national program on “Universal Early Childhood Education for 5 year old Children 2010-2015 (Decision 239). The project supports efforts to expand full-day preschool enrollments, improve capacity for preschool quality assurance and strengthened professional expertise of teachers and principals.